Maybe it’s the heartwarming effect. Maybe it’s the legacy you want to leave for your children. Maybe you just love wildlife. Whatever motivates you to contribute to conservation, when you do, you are saving wildlife. It isn’t only the conservationists in the field who are wildlife heroes, donors are wildlife heroes too. Our supporters remind us that the world is full of generosity and that there are many ways to support a cause. 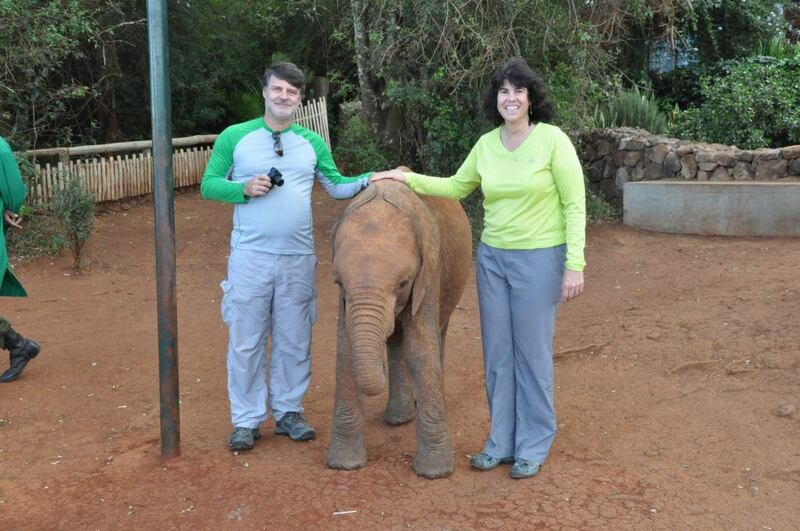 Don and Carol Gagne had been to Africa before, but they hadn’t experienced anything quite like their trip to Kenya connecting with WCN partners, which Don describes as more of a “religious experience”—for lack of a better term—than a safari. Watching conservationists in action and being a stone’s throw away from a herd of wild elephants is pretty incredible. As a retired software engineer and a drone enthusiast Don wanted to go beyond financial support and share his technical expertise to help conservation. The trip to Kenya allowed Don to match his knowledge of drone technology with the needs of several conservationists. Now he is working with Save the Elephants on a system to simplify tracking elephants from an airplane, with Grevy’s Zebra Trust to conduct aerial surveys of grasslands to help restore zebra habitat, and helping Painted Dog Conservation use drones to track painted dogs. Being in the field showed Don how he could best get involved and gave both Don and Carol the unforgettable experience of truly connecting to the beautiful wildlife they help protect. Imagine yourself on a warm day in Arizona running around a track, a mile loop, your feet starting to swell inside your sneakers while you keep a steady pace. Now imagine you continue your run into the evening, and then into the following day, for two-and-a-half days. This is what Brian Khepri did to raise money for Ewaso Lions. Brian ran 144 miles hoping to raise $5,000 for lion conservation. In less time than it takes to stretch for a marathon, Brian had set up a crowdfunding campaign page online, which he promoted to his friends and family on social media and email so they could donate to his cause. This is Brian’s 5th year running for lion conservation and in that time, he’s raised over $10,000. The great thing about crowdfunding is that anyone can do it; you don’t need to be a runner, you can create a crowdfunding campaign to match any hobby or interest. A graphic designer who started running to control his type II diabetes, Brian is proof that anyone can help raise money for wildlife. It’s great that WCN is set up to make these kinds of relationships between conservationists and donors. It’s not some black box you can’t see into or see through, now we know everybody and consider them friends of ours at this point. I’m giving Ewaso Lions the best of me, I’m never better than when I’m out running for them.